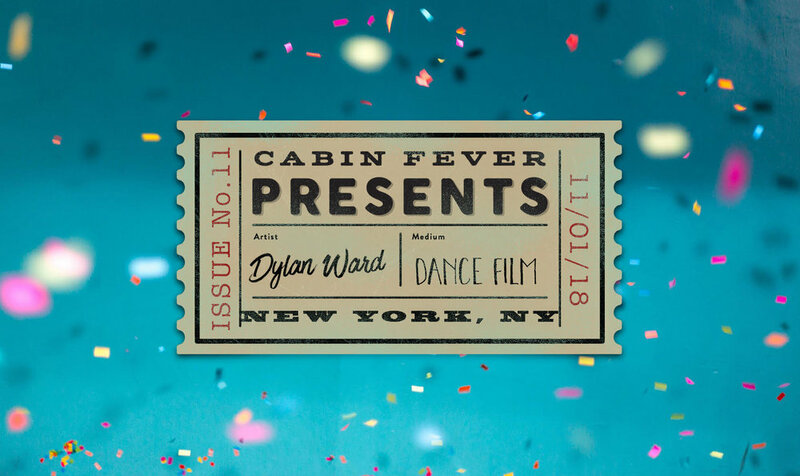 Choreographer, dancer, and videographer Dylan Ward utilizes film as a way to reflect on and cope with his past year. Inspired by the classic video game “Final Fantasy VI”, contemporary dance practice, VFX from 2-dimensional video games, and Magritte’s “A Sense of Reality” (1963), his film is whimsical, dark, and rooted in a complicated truth. Find Colin’s music at https://killdby.bandcamp.com/. This has been a difficult year. “A Sense of Reality” is inspired by Magritte’s painting by the same name, which I encountered for the first time at SFMOMA at the beginning of October. Something about the enormous effort put into creating such a grand, challenging vision struck me, and I wept, surprising everyone around me, including myself. The grandness of the image works on a visceral level; I could imagine what it might be like to see a large rock floating in mid air, and feel the great power of the natural world far bigger than life itself. Mountains do this; so does the moon. This vastness was compounded by the individual brushstrokes, the tiny choices he made all those years ago to put the rock in just that place, to evoke just that specific feeling, and I found myself imbedded in Magritte’s posthumous profound empathy for his audience. He worked to create something from deep within his mind that would be recognized and understood for exactly what it was; a rock floating, like the moon, and majestic. My brother was a great artist for the same reason. His meticulous planning of his myriad projects (as a musician, a painter, a performer, director, curator, anarchist) was all for his empathic desire to place the lessons he had learned deep within his heart upon the world stage; not only to express himself but to alleviate the pain of others. His work was majestic and described an impossible planet, but it came from a real world effort to create community and compassion within this impossible imagining. I learned how to be an artist by watching him. Strangely enough, the only thing I can think of in the situations where the thought, the knowing of death might drive me mad, is video games. The only way I could understand this for months afterwards was in the sense that a monster had taken him away from me; and this resembled the same kinds of tragic circumstances that had set up many of the story-driven video games I have played and admired throughout my life. Even now, my worldview is tinged with the idea of this “monster.” There is a great anxiety and sadness that appears to pluck people off the earth. Suicide is on the rise in the US. I can understand why, but only in fantastic terms. More than before there hovers a mysterious pressure, an underlying senselessness born from resource disparity and resentment. It seems like people have just decided not to do it anymore. I can not blame them, to be honest. However, I strongly disagree with the individuals who make the decision to commit suicide. If anything, their incredible perspective on the chaos in the world makes them more valuable to have around. It is frustrating that I can not blame them, because I am so furious, and this is why the concept of a “monster” that represents no human or conscious antagonist, but rather a hungry destructive force born from sheer fear, is useful. It creates an image; defines a force that can be struggled against, without creating an antagonist in the sufferer. There is a device in some story-driven video games called “forced loss,” where a player is forced to play through a gameplay sequence, usually a battle, usually towards the beginning of the game, and witness their loss against a powerful obstacle or foe. It plays upon the player’s attachment to their character(s); they feel the great unfairness and terror of a situation beyond simple recognition. They feel it. Something happens out of their control. At the same time, video games, especially those limited in their graphical capacity or that are art driven, can have an immensely alienating effect; allowing for an intellectual overview of any given situation. “Forced loss” creates the emotional circumstance that ironically allows for a greater objective understanding of a real world situation via the subjective understanding of the visceral experience of losing a game, unfairly. These moments, in entertainment and specifically games, are rehearsals for the world. I am trying desperately to situate my own story, and my brother’s, within a larger context. In making something resembling a video game, I create something that distances myself from the story enough to see it as such, and play with different scenarios, and hopefully come out with something that actually does touch a universal theme. The real “monster” that seems to be provoking the rise in suicide is of diverse cause but universal effect, and therefore so might be, in the same metaphysical sense, “magic” used to keep it at bay, and to assist each other in the effort. I wanted to create the vision of a game that I wanted to play; this is what my brother did in all he did, even when it landed him in trouble. He and I had always discussed to possibility of creating a game together. Despite great grief, and great disappointment in his decision, I still am proud of him. I hold his legacy to be precious and guiding; I still make whimsy from the worst because of him.